On the 13th August 2015 I visited the Kraaifontein Integrated Waste Management Plant with my Ward Councillor, Gerhard Fourie. Mr Fourie has been a great support in terms of my Miss Earth South Africa projects and putting me in contact with the right people. 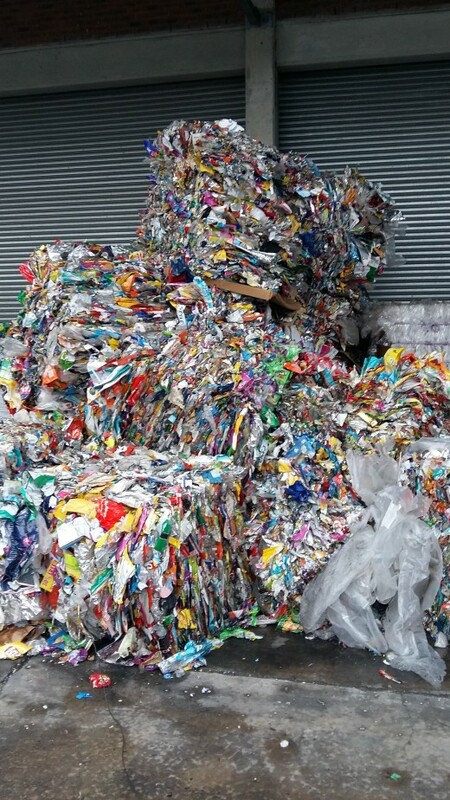 He arranged a visit to this amazing recycling depot we have in our area, the first of its kind in Cape Town. The site has a public drop-off facility, a materials recovery facility, a refuse transfer station and a green waste chipping area. It processes the waste from just under one million people, with the facility’s refuse transfer station having a capacity of 960 tons each day. 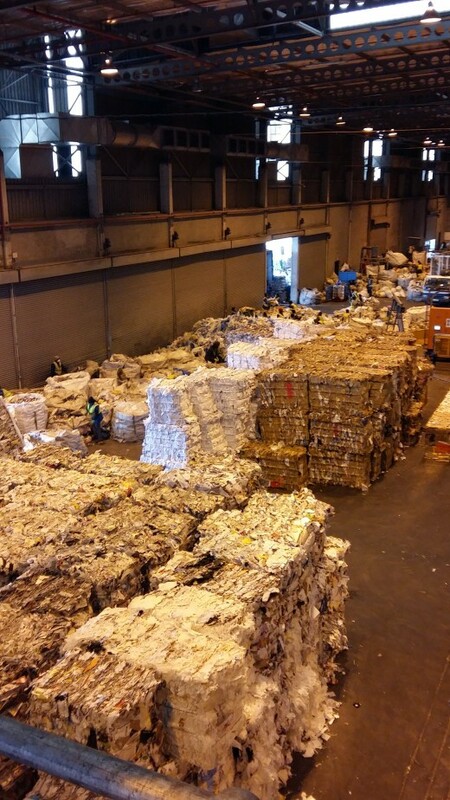 The City of Cape Town will manage the facility, while a contractor will be appointed to operate the materials recovery facility. Recyclable waste that is received will be sorted, separated, baled and then sold by this contractor. All general waste will be accepted, except hazardous or medical waste, sludge or large loads of builders’ rubble. A household hazardous waste drop-off service is planned for rollout within the next year. 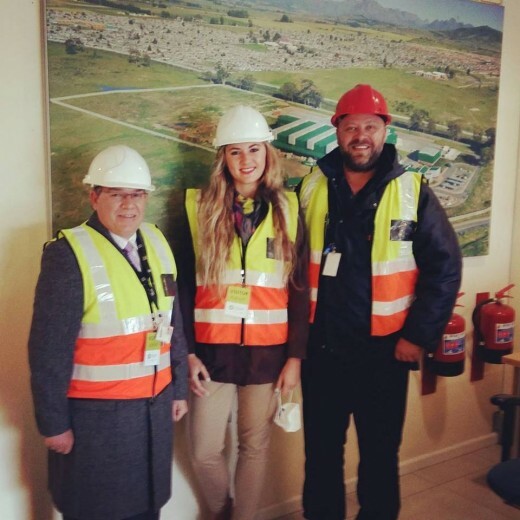 We were welcomed by Deon Kotze, manager of the recycling plant, followed by an informative overview of the facility and the work they do there. We then were given safety gear to wear as we were taken on a tour of the day to day runnings of the facility. What an eye opener to say the least! It is quite overwhelming to see our waste at such a magnitude. We as a society only know the beginning phase of waste management and that is throwing it into our bins at home. But where does it go to? And how can we minimise the amount of waste that ends up at these drop off sites such as the one we visited in my area. The answer is actually quite simple but following through with it is where we fall short. We need to go one step back, it’s about the choices we make when buying these items that we end up throwing away. 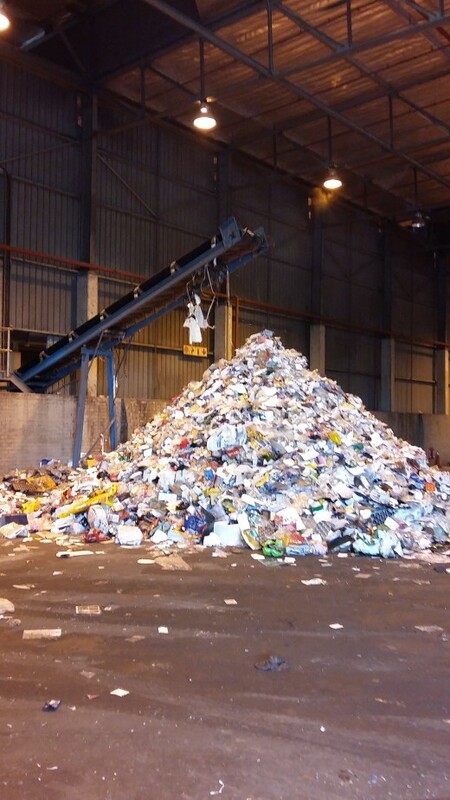 If each household could minimise the amount of packaging they buy from retail outlets, we can minimise the pressure our landfill sites are currently faced with. If we look at the stats, total waste generated in Cape Town per annum comes to 1 890 737 tons, total waste minimised per annum comes to 192 174 tons and total waste disposed per annum: 1 698 563 tons. If we can reduce that first number of waste being generated, we are solving more than half of our waste problem. We are running out of space in Cape Town and as CapeTonians we need to take responsibility for our actions and acknowledge the crisis we are faced with.